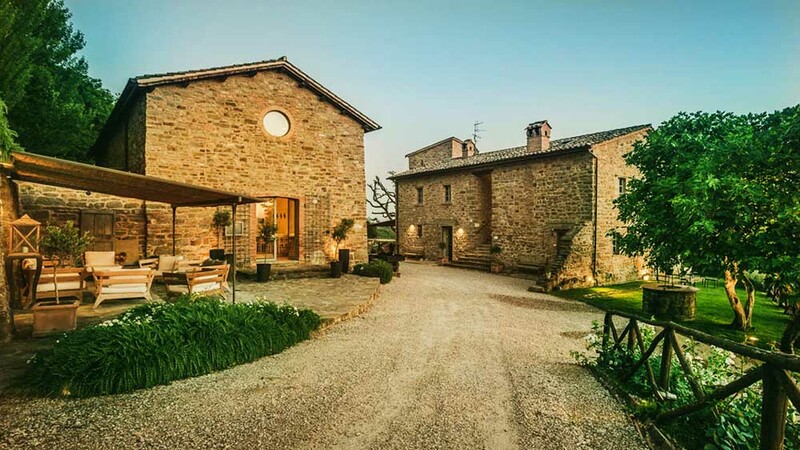 Our heartfelt thanks go to this very nice couple – Agata and Richard from United Kingdom – for introducing us to Nikis Resort in Pieve D’Agnano, Gubbio, Umbria, Italy. We’ve seen a lot of accommodations all around Italy in general and especially in Umbria, but this resort certainly takes the aim to another level: this unique place offers an ever impressive view over the Valle dell’Assino and if you’re not impressed enough, ignore the navigation and take the mountain road to Gubbio for even more breathtaking views. The restoration of the two original main buildings has been done with care and style with respect for the historic character and the original details, the end result is a combination of antique buildings with contemporary (but comfortable) and farmhouse furnishings. 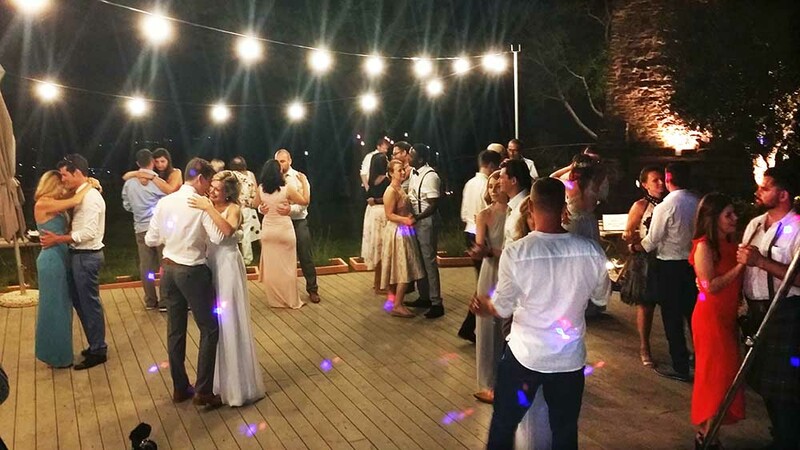 The wedding’s order of events starts with the ceremony in the grass and aperitifs near the church on the other side; dinner is served outdoors on a long table just on the natural terrace overlooking the valley below and the wedding party in the courtyard near the venue entrance. As Nikis Resort wedding band Guty & Simone “the Italian wedding musicians and Dj” set up a little sound system + wireless microphone in the dinner area for speeches and Spotify background music during dinner and set up their main sound system + instruments + dj gear + light system in the party area for Live music and DJ set. The first dance is “All for Love”, The Three Musketeers Original Motion Picture Soundtrack performed by Bryan Adams, Rod Stewart and Sting. The second song, played especially for the mother of the bride, is “Drive” by Joe Bonamassa; the videos show the bride, groom and guests dancing to the live and dj music of Guty & Simone. Nikis Resort is probably one of the most special places we’ve ever been to. 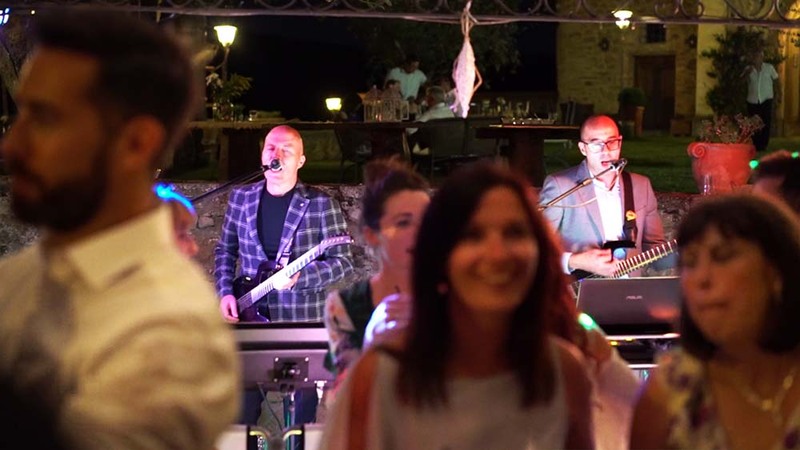 It’s remote, romantic and the perfect setting for either a get away or wedding especially when there is the Nikis Resort wedding band as wedding music band and Djs! – Wedding music in Rome he Flann O’ Brien Irish pub Irish wedding party, live musicians.